The Democratic contender supports a constitutional remedy to voter suppression and assaults on the Voting Rights Act. Civil rights campaigners in the 1950s and 1960s adopted many tools establishing and extending voting rights protections. The best known of these was a piece of federal legislation: the Voting Rights Act that was signed into law on August 6, 1965. But another tool was the constitutional amendment that banned the noxious poll taxes that southern states used to erect wealth barriers to voting by African Americans, Latinos and poor whites. Five decades after the great advances of 1964 and 1965, the Voting Rights Act has been assaulted by Republican governor and legislators and the right-wing majority on the U.S. Supreme Court, forcing activists to launch new campaigns to renew its core provisions. Those campaigns are vital, especially the effort to restore the Voting Rights Act with the federal Voting Rights Advancement Act of 2015. But so, too, are proposals to go big in defense of voting rights. That amendment, proposed two years ago and reintroduced this year by Congressman Mark Pocan, D-Wisconsin, and Congressman Keith Ellison, D-Minnesota, has gained traction as frustration with assaults on voting rights has grown among members of the House. The amendment proposal now has 39 co-sponsors, including Michigan Congressman John Conyers Jr., the senior member of the chamber who marched with the Rev. Martin Luther King Jr. in the 1960s and championed the Voting Rights Act at the time of its initial passage. But constitutional amendments require more than just congressional support. To be enacted, amendment proposals must become central to the national discourse. That’s why it is important that, on Tuesday, the right-to-vote amendment proposal gained the enthusiastic support of a contender for the Democratic presidential nomination, former Maryland Governor Martin O’Malley. That’s important because O’Malley is in a position to bring the amendment proposal into the mainstream of Democratic Party politics, as a participant in upcoming debates, and in the political discussion that extends from them. Sanders has also been supportive of constitutional remedies to Supreme Court rulings that have undermined democracy — including an amendment he has sponsored to overturn the Supreme Court’s Citizens United ruling, which removed historic barriers to corporate spending to influence elections. The renewal and extension of democracy in America is going to require bold action, including constitutional amendments. O’Malley is recognizing this with his call for a constitutional amendment to guarantee voting rights. 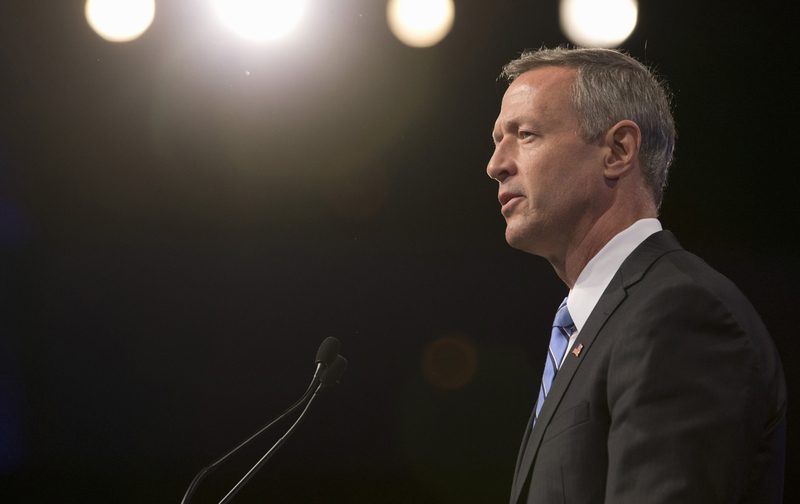 By delivering that message as a presidential contender, O’Malley further identifies himself as a candidate who is not merely identifying the big problems — which counts for something. He is calling for the big solutions — which counts for even more.